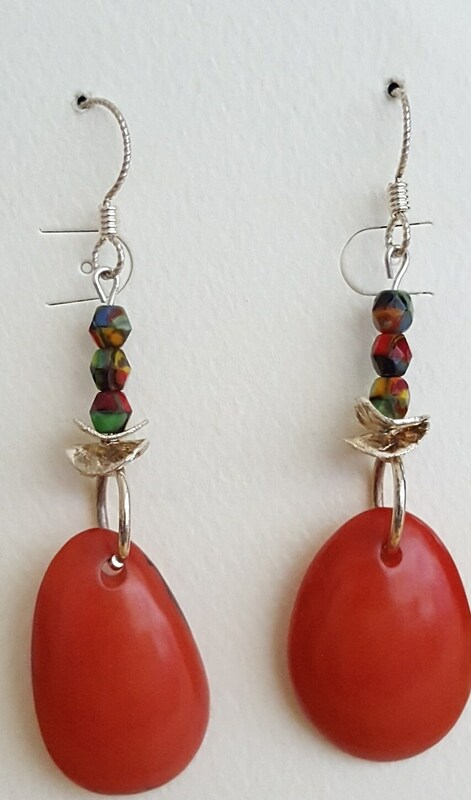 Bali Silver and sliced rosie red tagua nut with accent beads. Sterling silver non slip ear wires 2" drop. Very light weight. 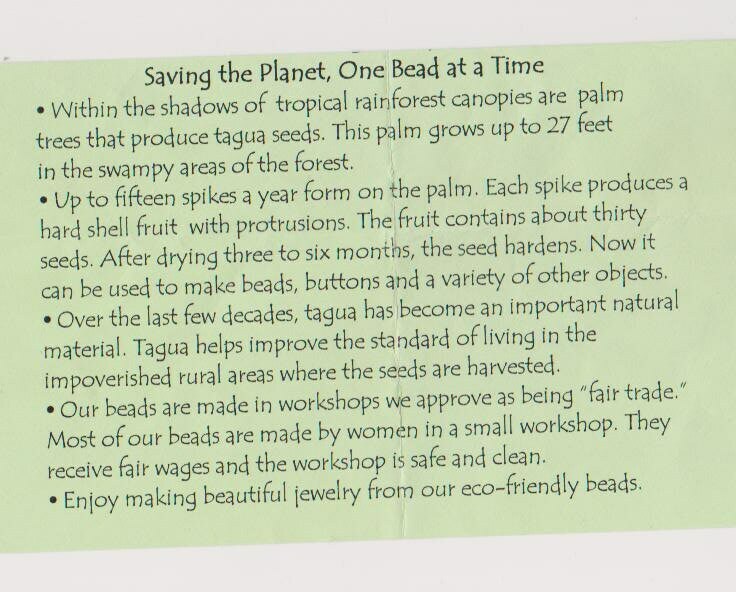 Enjoy the story of the Tagua nut on the page.